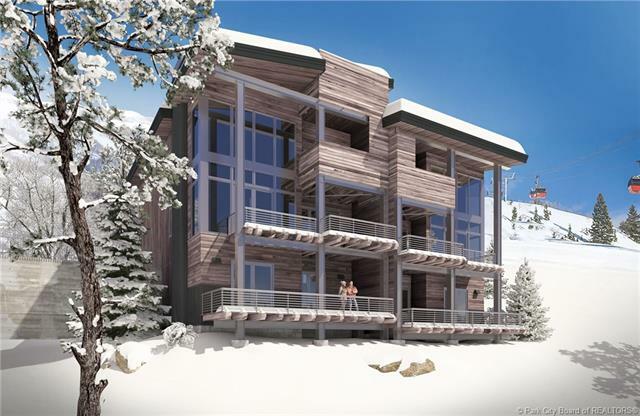 Exquisite Ski-in, Ski-out Condos for Sale at the Apex Residences, a condo development located at the Canyons Village in Park City, UT, are listed below and updated daily from the Park City MLS. The Apex Residences are the newest change to the Canyons Village landscape and is considered the highest elevation ski through development in the Canyons Village. It consists of 63 exclusive, luxurious modern retreats built with expert craftmanship to make your mountain lifestyle an exquisite experience. Apex residences offer 3 distinct levels of slopeside living with square footage ranging from 2,080 to 3800. Prices will range from approximately $1.4 - $3.2 million and Apex owners have exclusive access to the Clubhouse, 5,800 sqft of amenities. receive email listing alerts whenever new homes or condos for sale at the Apex Residences or surrounding area hit the market that match your specific search criteria. Apex Residences at the Canyons Village real estate.